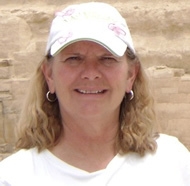 Today, I am very pleased to interview my fellow Arthurian author Cheryl Carpinello. Cheryl is the author of the young adult novel Guinevere: On the Eve of Legend and today she will be talking about her new novel The King’s Ransom, the first in her new series Young Knights of the Round Table. Tyler: Welcome, Cheryl. It’s a pleasure to talk to you today. I’ve read and enjoyed both of your books and I only wish they had been around for me to read when I was a kid. 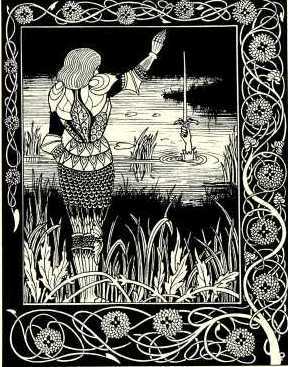 To begin, will you tell us what made you decide to write books about the Arthurian legend for children? Cheryl: I’ve always been fascinated by King Arthur. I’ve probably read just about every fiction story written over the last 15-20 years. One of my favorites is Deepak Chopra’s The Return of Merlin. I’ve also ventured to nonfiction or scholarly accounts like your King Arthur’s Children: A Study in Fiction and Tradition. However, I’m more of a romantic, and it’s that side of the legend that appeals to me. I like the ideas that surround the legend like might is not right; how when seen from the air, there are no lines or boundaries on Earth—we are all here together, and we need to learn how to get along; and how in Arthur’s time hope still lives. Underneath it all, I believe this is what draws young and old to the legend. What the legend says to kids without them realizing it is that there is a right way and a wrong way to live. This is done with the stories of the knights with their quests, their jousts, their rescuing of the damsels, and their fighting for the underdog. These stories present young readers with vivid accounts of honor, loyalty, and friendship. This is why I chose Arthurian Legend. Tyler: What age group would you say your books are most suited for? Cheryl: I typically write shorter books for the readers I’m trying to reach. My focus is on reluctant readers in grades three through eight. These reluctant readers are kids who are able to read, but prefer to do other activities. If I can reach them early in their schooling, it’s just possible I might hook them into exploring other books. I’ve yet to find a student in the younger grades who isn’t excited about the medieval time period. Reluctant readers, my nephew Joe is one, will usually balk at long, fat books, so I shorten mine. I usually add simple illustrations to break up the text, but being an ebook, The King’s Ransom does not have these. I’m hoping my publisher will put the illustrations back in the print book when it comes out later this year. Tyler:And in this first book, just who are the Young Knights we’re talking about? Cheryl: The Young Knights are three kids who have become friends via their friendship with a beggar/vagabond called the Wild Man. Without the Wild Man, it is likely that they would not have met and become friends because they are from very different backgrounds. Eleven-year-old Gavin is the youngest prince of Pembroke Castle in southern Wales. Fifteen-year-old Bryan has been sent to Pembroke by his parents to learn to be a blacksmith. Thirteen-year-old Philip is an orphan who wandered into Pembroke village and lives and works at the church. They are really just three lonely kids who find friendship with the Wild Man and each other. Tyler: Will you set up the plot a little for us? Cheryl: Someone breaks into the king’s (Gavin’s father) treasury in Pembroke Castle and not only steals the medallion The King’s Ransom, but also kills Aldred, the king’s advisor. Being a beggar/vagabond, the Wild Man is captured and charged with the crime. It doesn’t help that a bloody knife is found with his belongings. Gavin, Bryan, and Philip are determined to prove that the Wild Man is innocent. In order to do this, they embark upon a quest where each is tested and must conquer his fears or face humiliation and/or even death. Tyler: I think the Wild Man is my favorite character. Where did you get the idea for him? Cheryl: Ah, the Wild Man. He is much more important than it appears. I knew that in order to make The King’s Ransom (Young Knights of the Round Table) work, I had to have a strong tie-in with Arthurian Legend. Sure, King Arthur makes an appearance, but that wasn’t enough. Then I remembered the Wild Man from T.H. White’s The Once and Future King. He worked perfectly. The Wild Man is also mentioned in a number of other Arthurian books, but my Wild Man comes from White. Tyler: How many books do you think you’ll write for the series? Cheryl: Right now, I don’t have a definite number in mind, at least two or three more. Tyler: Is Guinevere going to be tied into the series down the road or is it a completely separate book? Cheryl: Guinevere won’t be tied into the series because it occurs at the beginning of Arthur’s reign. Young Knights takes place after Arthur is more established. However, another book featuring Guinevere and Cedwyn is in the planning stage. I’ve had several requests from readers to write about what happens to Cedwyn. That’s what the next book or two will deal with in that line. 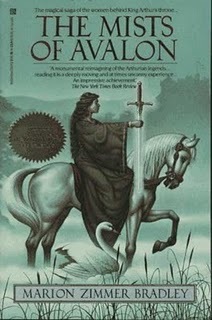 Tyler: Do you have a favorite Arthurian novel of your own or which ones most influenced you in your own writing? Cheryl: I would have to say my favorite is T.H. White’s The Once and Future King. I like how White makes the legend so accessible to a variety of readers. Many people—kids included—are already familiar with White’s story even though they may not be aware of it. Of course, I’m talking about the fact that Disney made the animated feature story The Sword in the Stone from Book I of The Once and Future King. Tyler: You include several educational items in the book for teachers. Will you tell us a little about those? Cheryl: One of the many reasons I’m excited about The King’s Ransom is that my publisher MuseItUp wouldn’t let me include the educational pieces in my book. They had me do a separate eighteen-page Teacher Guide that is available as a free PDF download when readers purchase The King’s Ransom from their bookstore. (https://museituppublishing.com/bookstore2/index.php?page=shop.product_details&flypage=flypage.tpl&product_id=322&category_id=10&option=com_virtuemart&Itemid=1) I also have a copy that I can send to readers for free and hand out in classrooms and at workshops. The guide carries that great castle cover and is loaded with resources and materials for teachers and homeschooled students. Included are a synopsis, information on the Arthurian Legend and the medieval time period, castle vocabulary, and a word find puzzle. Teachers have suggestions for discussions, projects, and writing exercises as well as additional medieval references specifically geared for young readers. I also put together a complete set of comprehension questions/answers for all eighteen chapters. Tyler: How has being a teacher yourself influenced your writing middle grade/tween books? Cheryl: I’ve written several books over the years. I’ve done an adult romance, a YA romance/bildungsroman, and several stories suitable for picture books. I just never seemed to find a genre I was passionate about writing. Then I started teaching The Once and Future King. My students loved the story and the whole medieval world. After writing Guinevere, I started doing medieval writing workshops in the elementary schools and found every classroom full of kids crazy about King Arthur and the Knights of the Round Table and the medieval time period. I have to say that being in the classroom and working with the younger kids has been my entire motivation for writing my books. Tyler: What do your students think about having an author for a teacher? Cheryl: My students were excited when I told them my book would be published at the end of the school year. Then when they found Guinevere: On the Eve of Legend in the school’s library, one of my senior boys told me, “That’s tight, miss.” When the cover proofs for The King’s Ransom came out, the kids picked the one(s) they liked best. In the end though, I combined aspects from a couple of the proofs for the final cover, and they liked that as well. The book released just three days before school ended. Many of my students left me their addresses so that I could contact when the print book comes out later this year. They want an autographed copy. Tyler: Thank you for the interview, Cheryl. Will you tell us about your website and what information we can find there about The King’s Ransom and the Young Knights of the Round Table series? 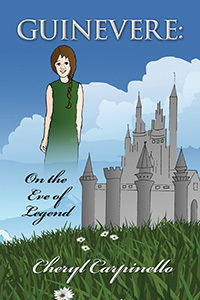 Cheryl: Beyond Today (Educator) http://www.beyondtodayeducator.com contains information on the King Arthur Legend and both Guinevere and The King’s Ransom. The events section is a picture gallery of my Medieval writing workshops I do with the Colorado Girl Scouts. The education section currently shows how Guinevere aligns with the Colorado State Standards for Reading and Writing. I’ll be updating a lot of the site this summer. On my blog Carpinello’s Writing Pages http://carpinelloswritingpages.blogspot.com, I review Children/MG/Tween/YA books, conduct interviews with authors, and post ideas to get kids involved in reading and writing. Visitors can still do the virtual blog tour of the book’s settings in Wales that I posted when The King’s Ransom released. Tyler: Great, Cheryl. And thanks again for the interview. I can’t wait to hear about the next book.